BusyBees is a top quality provider of residential cleaning services in Egypt and Dubai. Examples of services provided are: move in cleaning, deep cleaning, light cleaning and pest control. 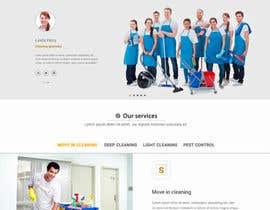 The target audience for this portfolio of services are A class customers who need a trustworthy company to take off their back the cleaning chores backed up with environment friendly cleaning products and well trained staff. 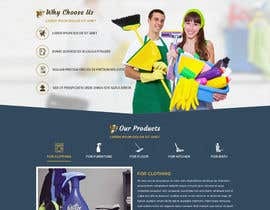 The website is created with a target to serve a wealth information about the company and its different services also it will be an online ordering channel where fast delivery and cash on delivery for variant cleaning products will be available. 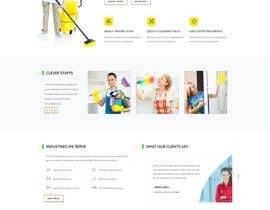 The website should give the feeling of “Clean” and neat in terms of colors and layout. The logo is attached for reference (Golden yellowish bee) Fonts used should be elegant to complete the brand image of BusyBees. “Online store” landing page is requested and need to deliver the proposed front look for the products’ collection page and the fact that it needs to be attractive/catchy enough to insure orders. •	Online booking for a service. •	Unique products and highly selected team members. Entries should include a home page, 2 internal pages, online store landing page, online store collection page, and the online product page. Entries with one suggestion will be ignored. Entries with the requested pages will be ignored. final deliverable you need are PSD files? would you prefer if we provide you the HTML as well.. Please confirm, In this price what is the final delivery ? Is it only PSD files or coding as well.